Spend the night at Letchworth in-style! Enjoy lodging mere feet from the Genesee River Gorge as you experience the majestic beauty of Letchworth State Park up close and personal! The Cherry Suite at The Glen Iris Inn features a balcony overlooking the Middle Falls and a Jacuzzi bath. Pinewood Lodge sits on the ridge above the Inn and boasts 7 luxury efficiencies. Each of the units has a queen bed and a sleeper sofa that pulls out into a single bed. The contemporary but nature oriented décor makes each of the units comfortable living quarters, perfect for families and small groups. All units have coffee maker, microwave oven, small refrigerator, telephone service and television with satellite service. There are full baths in each room. One lodge has been remodeled to be handicap equipped. Two luxury units that will accommodate up to 4 people each. Living room with leather sofa bed, gas fireplace, flat screen TV with satellite, kitchen with refrigerator, microwave, coffeemaker, wine glasses, cheese board, full bathroom with 2-person whirlpool tub, loft bedroom with king bed. Caroline's Cottage is a quaint three-bedroom, fully furnished house, that was recently remodeled. Caroline's is tucked back off of the main park road in a private area, but is still just a short distance from the Glen Iris. The house has a fully appointed kitchen, living and dining areas, and one full bathroom. This house is great for family vacations. Max occupancy = six people. This two story, four-bedroom house sits on the main park road directly across from Inspiration Point, one of Letchworth's most magnificent overlooks. Stone house is beautifully furnished and features a living room with fireplace and stereo system, dining room, sunroom, patio, fully appointed kitchen and two and a half bathrooms. This house is perfect for family retreats and weekend getaways. Max occupancy = eight people. This Swiss Chalet style home is located at the Southern end of Letchworth State Park, just up the hill from the Glen Iris Inn. The kitchen is fully equipped with appliances, dishes, glassware and basic cookware. The living room has a view of Eagle hill looking towards the gorge area of the park. There are three bedrooms in the Chalet, one with a queen bed, one with two double beds and one with two twin beds. There are two full bathrooms, one on the first floor and one on the second floor. 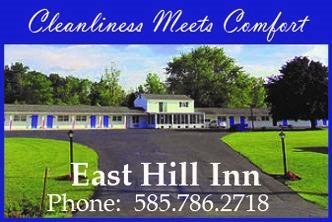 Booking can be done through the Glen Iris Inn website or by calling (585) 493-2622. Letchworth State Park also has over 300 cabin rentals available. Located near the Perry entrance on the west side of the park and on the east side of the park near the Portageville Parade Grounds entrance, these cabins can be booked by visiting www.reserveamerica.com or by calling (585) 493-3600. Interested in pet-friendly cabin rentals? Loops 100, 200, 700 and C-cabins in Letchworth are pet-friendly! 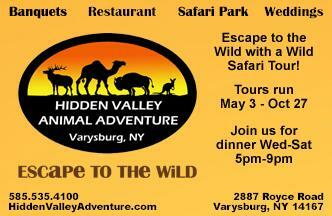 Call the park at (585) 493-3600 for full details.